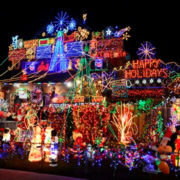 While it is certainly possible to see homes donning red and white lights in December, it is also a popular choice in February in celebration of Valentine’s Day. Although it is the shortest month of the year, February sometimes feels like the longest month in cold weather climates such as Illinois. Why not brighten up this normally cold and gloomy month with a little flair this Valentine’s Day. 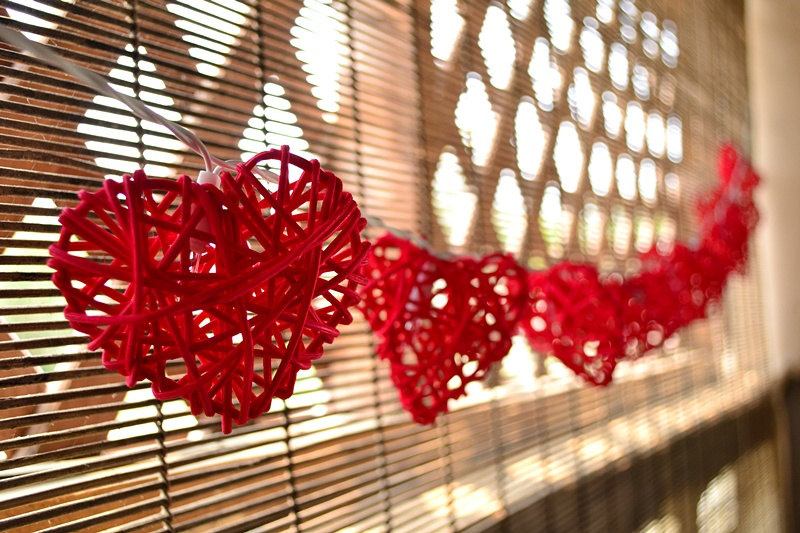 Show some love this Valentine’s Day by putting a little extra sparkle on your home’s roof line, trees, or bushes. 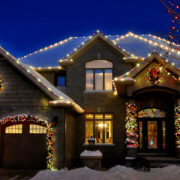 Or hang some heart-shaped lights in or outside your home. 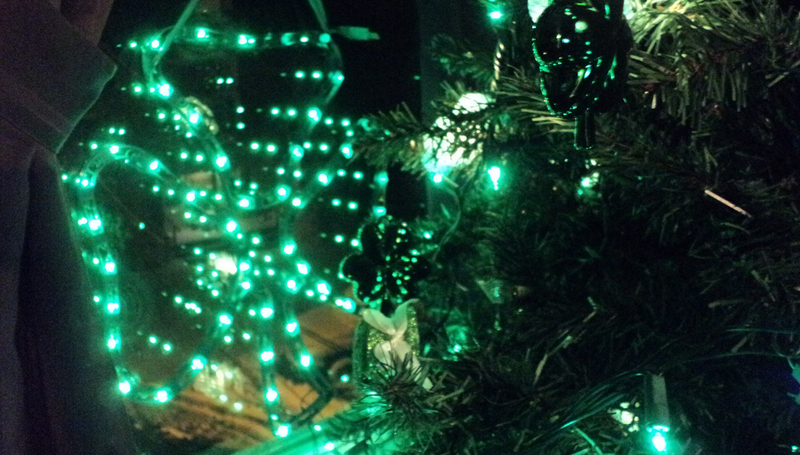 Bring a little luck o’ the Irish home with green and white lights. Who knows, you might even spot a wee leprechaun standing by to grant your St. Patrick’s Day wish! Feeling patriotic? The American spirit beams the brightest on July 4th when we celebrate our country’s independence. 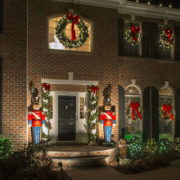 In addition to hanging red, white, and blue lights on the house, you will find many homes with large, lit American flags, bunting on porch railings, and flags lining driveways and front door paths. This is our country’s birthday… celebrate in style! In addition to Independence Day, decorates use these colors to celebrate Memorial Day and Labor Day in honor of our armed forces and workers throughout America. It’s a spooky time of year when tree branches are bare, and the wind is howling. Halloween decorating is now the second largest holiday to garner outdoor home decorating behind Christmas. 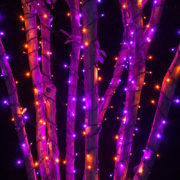 Join in the fun by installing purple and orange lights along your roof line, around tree trunks, and on bushes. Add to this, some scary lawn statues and eerie music and you have the makings of perfect Halloween night. 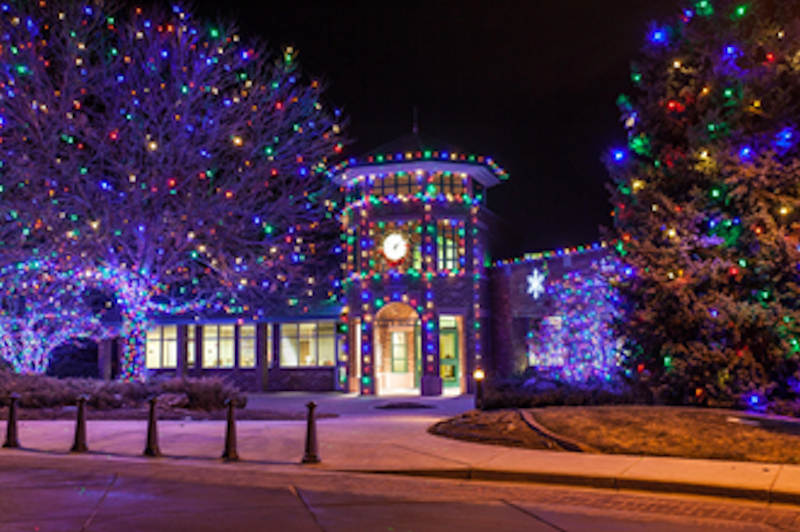 Multi-Colored Lights or White Lights? 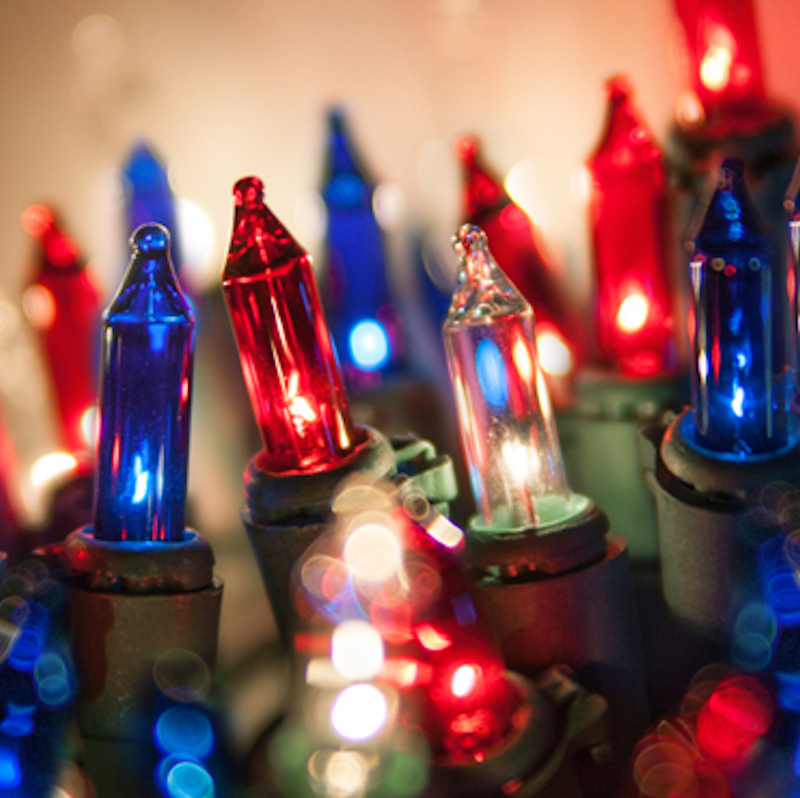 Most Christmas lighting is either multi-colored or white. It’s the age old battle. What’s your choice? 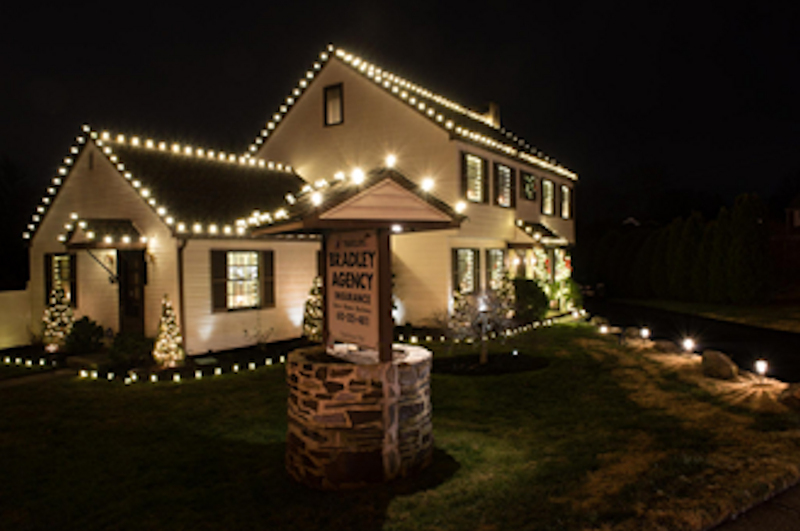 White lights are the most traditional holiday lighting color. White is affiliated with innocence, purity, and equality. 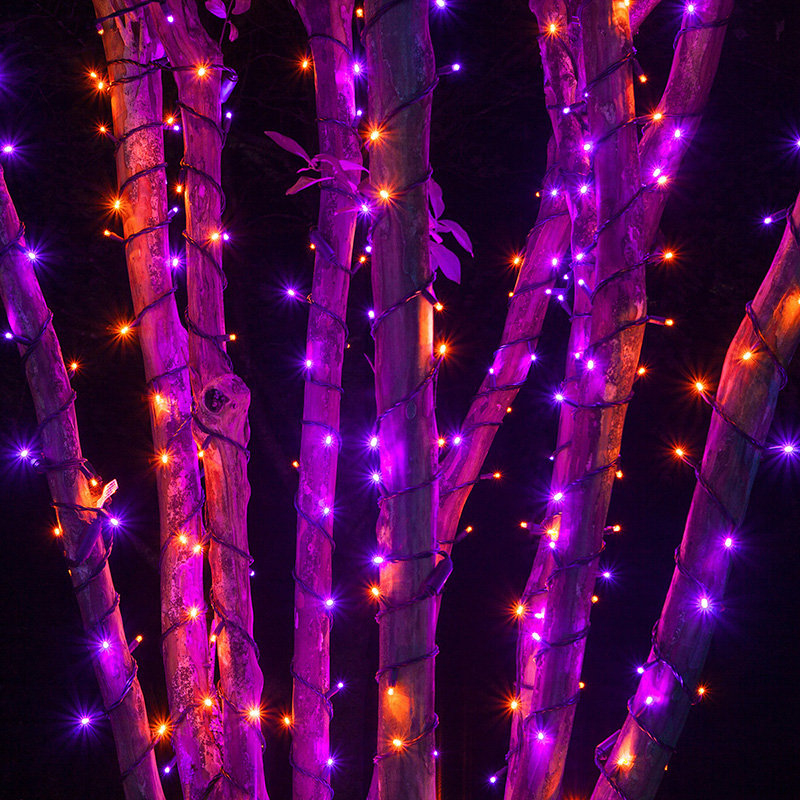 Those who prefer multi-colored lights may find that the colorful lights awaken the dreariness of winter. Many adults tend to favor the color most often used in their childhood home. There’s even research on what your choice of light colors say about your personality. 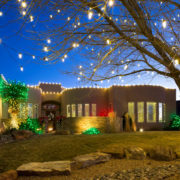 Whatever your favorite holiday or color of light is, Christmas Decor by Arvidson is the answer to your turn-key holiday lighting installation. This family-owned and operated business is located in Crystal Lake (McHenry County) in the northwest suburbs of Chicago, Illinois. Our installers work directly for us – no subcontractors, and we are fully insured. Our professional decorating service is turnkey including all facets of your display: design, installation, maintenance, take-down, and storage. 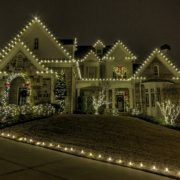 You never have to think about pulling out those old lights again! Call us today for a free quote at 815.459.0660 or complete this form.